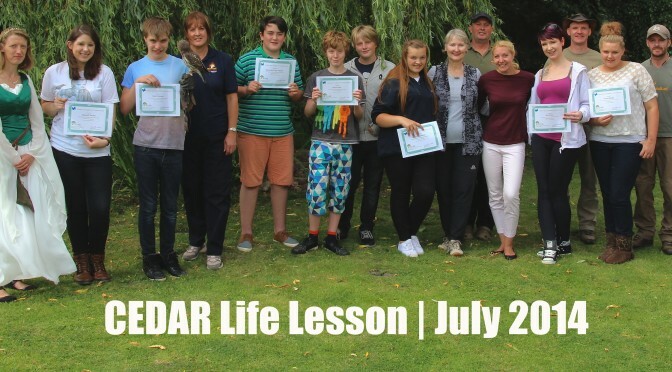 CEDAR CIC recently teamed up with Feather Perfect Falconry CIC to deliver the first pilot programme on death, loss and remembrance to a pioneering group of NHS Shropshire CCG Young Health Champions in July 2014. For more information on CEDAR Life Lessons™ you can register for the Education section and go to Life Lessons. It’s free and there is more information for you to explore. Or contact us at info@cedareducation.org.uk, subject: Life Lessons.